First Trust, Northern Trust, Cambria ETF Trust and ARK also launched ETFs. A variety of new ETFs just started trading. Also, Cordium introduced an anti-money laundering review and reporting service for broker-dealers; deVere Group launched an investment strategy division; RealConnex launched an online real estate marketplace; and DealVector added additional data to its BWIC Board. Invesco PowerShares has listed the PowerShares DB Optimum Yield Diversified Commodity Strategy Portfolio ETF (PDBC). PDBC seeks to outperform its benchmark through actively managed investments in commodity-linked futures contracts. It provides exposure to components of its benchmark, the DBIQ Optimum Yield Diversified Commodity Index Excess Return, which is composed of futures contracts on 14 heavily traded commodities across the energy, precious metals, industrial metals and agriculture sectors. First Trust has launched three ETFs: the First Trust International IPO ETF (FPXI), the First Trust Emerging Markets Local Currency Bond ETF (FEMB) and the First Trust Low Duration Mortgage Opportunities ETF (LMBS). FPXI seeks investment results that correspond generally to the price and yield (before the fund’s fees and expenses) of the IPOX International Index. The index measures the performance of the 50 largest and typically most liquid companies that are domiciled outside the U.S. within the IPOX Global Composite Index (the base index). FEMB is an actively managed ETF that primarily seeks maximum total return and current income, while minimizing volatility by actively managing currency exposure. The fund invests in bonds that are denominated in the issuer’s local currency as opposed to U.S. dollars. LMBS seeks to generate current income with a secondary objective of capital appreciation. 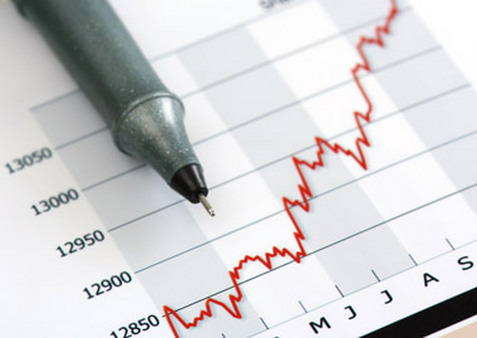 Under normal market conditions, the fund will seek to achieve its investment objectives by investing at least 80% of its net assets (including investment borrowings) in investment-grade, mortgage-related debt securities and other mortgage-related instruments tied to residential and commercial mortgages. Northern Trust announced the launch of the variable net asset value (VNAV) Euro Liquidity Fund. The fund is designed to operate in both negative return environments and positive yielding markets and supports institutional investors’ requirements for liquid, diversified and high-quality cash management products. The Cambria ETF Trust and its investment manager, Cambria Investment Management, LP, announced the launch of the Cambria Global Momentum ETF (GMOM), which utilizes a quantitative approach to actively manage a diversified portfolio of world asset classes. The fund is based on the insight that sorting assets based on trailing measures of momentum and trend has historically led to outperformance. GMOM is comprised of 17 holdings that represent the top 33% of a universe of approximately 50 ETFs. The holdings are selected on measures of trailing momentum and trend. By sorting through a basket of domestic and foreign stocks, bonds, real estate, commodities and currencies, the strategy targets aggressive returns while still managing risk and volatility. ARK Investment Management has added two actively managed ETFs, the ARK Genomic Revolution Multi-Sector Fund (ARKG) and the ARK Innovation Fund (ARKK). ARKG will invest in U.S.-listed stocks and ADRs across multiple sectors, including health care, information technology, materials, and energy, that are relevant to the fund’s investment theme of the genomic revolution. ARKK seeks to invest in the cornerstone companies that further the fund’s focus on investing in disruptive innovation. Such companies may include ones that benefit from big data, cloud computing, crypto-currencies, the sharing economy, genomic sequencing, molecular medicine, agricultural biology, 3D printing, energy storage, and autonomous vehicles. Compliance consulting firm Cordium announced that it is introducing an independent anti-money laundering (AML) review and reporting service for broker-dealers. The service has been specifically designed to verify not only the validity of a broker-dealer firm’s ability to detect and prevent money laundering, but also to verify the firm’s ability to detect funding of suspected terrorist or criminal activity. The review will provide the client with a detailed report that outlines findings and recommendations while it subsequently assists in creating up to date policies and procedures for the firm as well as demonstrating key activities. deVere Group has announced the launch of its investment strategy division, which is designed to help investors better understand the economic, political and social factors that drive capital markets, and which in turn influence returns on portfolios. The service is free and requires no login process. RealConnex announced that it has launched its online platform connecting the real estate ecosystem in one marketplace that allows investors, lenders, developers, construction companies and other service providers to access professional opportunities in real time. The platform provides a technology-driven alternative to the traditional real estate deal-making process, which relies on individual relationships. It connects partners to opportunities with a proprietary technology that matches users based on complementary goals, even where direct relationships did not previously exist. DealVector has announced the addition of market pricing data from Structured Credit Investor’s PriceABS service to its BWIC Board. This data automatically displays pricing history of more than 35,000 bonds when new issues are available. The integration of this data allows the investment community to automatically compare bonds against a wide range of metrics. Read the Nov.2 Portfolio Products Roundup at ThinkAdvisor.